I needed a little something to pop a gift voucher into to a handbag it was. I love playing around with the ScorPal and this was the result of playing with score line. Wonderful card Jak!! Love the colours. 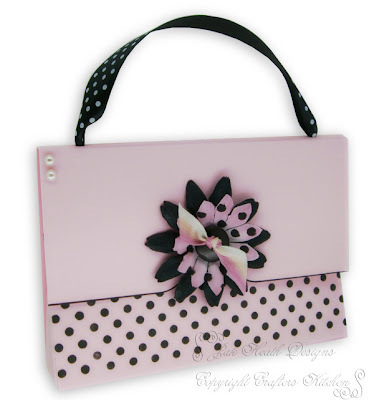 Love it Jak, i love Pink and Black together and you have done a grand job of the handbag. Cute and gorgeous colour combi. This is really Fab. Any chance of instructions and tips to try it ourselves please?. Jak its fabulous, love the colours aswell.